FYI: These lunch boxes aren’t just for picnics! Use these boxes as a unique option for special events like birthdays, baby showers, and weddings! One of the easiest ways to picnic is with a healthy, pre-made and pre-packed lunch box. Let us show you how to pack an adorable box here! In our example, we’re using our favorite picnic-friendly food. We love a delicious sandwich, a few savory snacks, and a cookie to finish it off. We also included an eco-friendly, paper straw, just in case we get a drink later to wash it all down with! These are just our favorite lunch box ideas. When you pack your lunch, feel free to get creative and package your favorite lunch box food! Go for the bigger items first. In our example, the biggest item in our box is a sandwich. 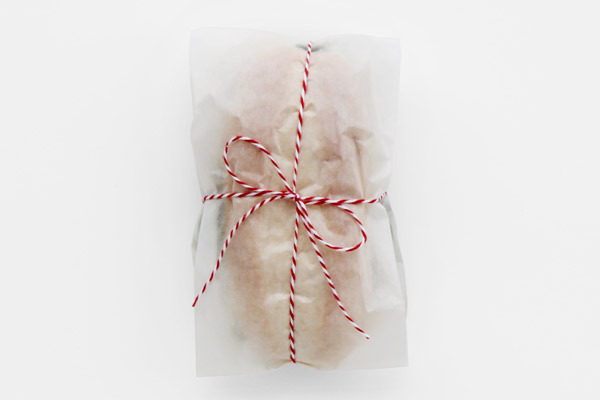 Taking your sandwich, insert it in your glassine bag and secure with twine. Next, move onto the sweet treats! 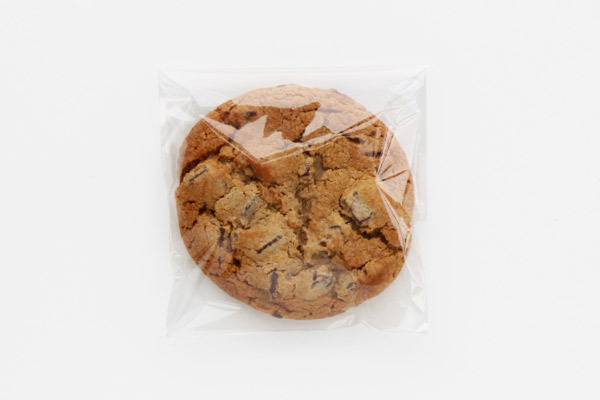 Using your lip & tape bags, take your cookie and make sure it is fully inside. Then, fold the cover over to seal. 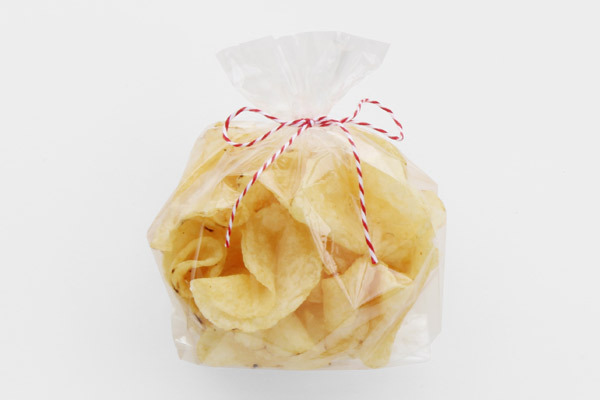 Then, take your snacks – we’re starting with our potato chips – and using the clear cello bags to hold them. Trim off any unused space and secure with twine. 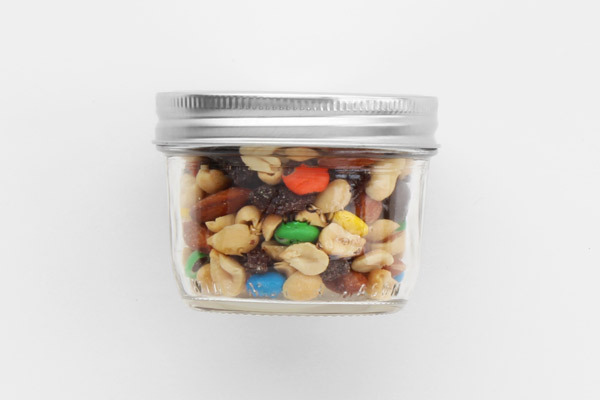 Our trail mix, we’re going to keep in small, resealable glass mason jars. Simply pour contents into the glass jar and seal with lid. Finally, take your gable box and place your food liner inside. Add your wrapped sandwich, cookie, snacks, and straw. Finish with a checkered bow. To easily carry multiple boxed lunches, use your large basket tray. PET (Polyethylene Terephthalate) | PET plastic is a strong, lightweight, shatter-resistant and food safe plastic. Food and Drug Administration (FDA) Approved Materials | FDA compliance ensures the items you’re using has been made under sanitary conditions and approved for direct food contact. 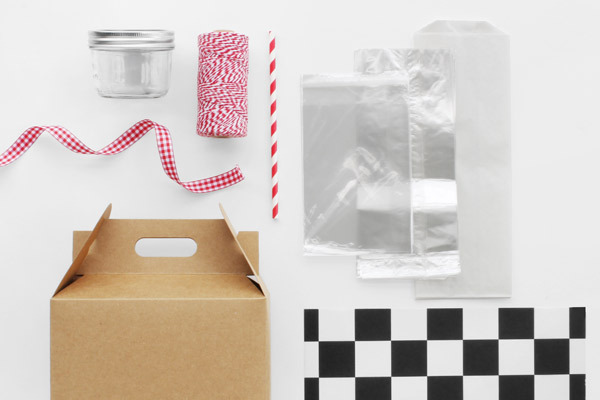 Specially designed to wrap and protect, items with these signifiers are meant to maintain food quality, keeping fresh food delicious and picnic-ready. 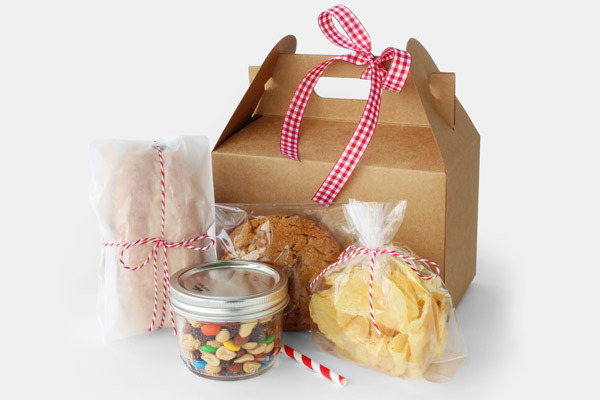 With these boxed lunch tips, you can pack a healthy picnic lunch with ease this season. Loved this How-To? Us too! We’ll be making more all year long, so stay tuned for more DIY videos, tips for small businesses, and product features!